Dream House has been sold as a ghost movie but in reality, it is a psychological thriller mystery with a really bad ending. You cannot separate a movie from its marketing campaign. A movie marketing campaign defines what a movie is before audiences get a chance to see it. 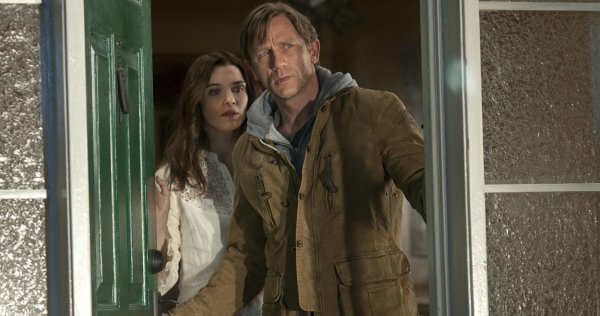 Dream House, starring Daniel Craig and Rachel Weisz has been established as a haunted house thriller via marketing but the problem is, Dream House isn’t really a haunted house movie at all. The film stars Daniel Craig as a man investigating a murder that he may have committed. The apparitions that Craig’s character sees aren’t ghosts but rather projections of his damaged psyche. 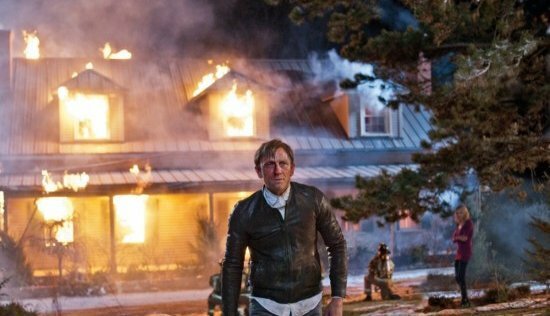 The marketing campaign trades the twist about Craig’s character having been in a mental hospital and not being the man he thought he was, so that it can sell Dream House as a ghost movie. This leave Dream House to limp through 45 minutes of run time to a reveal that has already been revealed in commercials and trailers. Daniel Craig is Will Atenton, a successful book editor who is quitting his job to become an author. Will is headed home to his beautiful wife Libby (Rachel Weisz) and their two adorable daughters who are now living in their new home in the Connecticut suburbs. Unfortunately, the realtor has failed to mention that a man named Peter Ward may have murdered his family in this house or that tourists and teenagers like to drop by and look in the windows. This takes us to about 45 minutes into Dream House. The marketing campaign has spoiled the fact that Daniel Craig’s Will is really Peter Ward and that he may have killed his family. The movie however, treats this as a shocking twist, giving this plot turn a Hitchcockian reveal. Why spoil the twist? Why ruin what the director clearly believed was important enough to frame as a shocking surprise? The choice to spoil Craig’s identity in the marketing campaign may explain why the cast of Dream House refused to promote the film. Then again, it could also have to do with how everything after the big twist is a clumsy mess. The resolution of Dream House finds Will/Peter investigating the murder of his family even as he can see his wife and kids as if they were still alive. Will/Peter’s neighbor Ann (Naomi Watts) is among those with important details about the murders as is Ann’s angry ex-husband Jack (Martin Csokas) and a drifter named Boyce (Elias Koteas). The ending of Dream House is stunningly inept given all of the talent on display. Daniel Craig is compellingly sad yet determined as Peter while Naomi Watts and Rachel Weisz do variations on attractive vulnerability. Director Jim Sheridan builds a few strong individual scenes but the ending is too convoluted to be believed or enjoyed. Could Dream House have been a better movie had the twist not been spoiled by the marketing campaign? Probably not given the bad ending but then again, we’ll will never know. As it is though, Dream House dragged on for 45 minutes to a reveal that I was already aware of before ending in the inept fashion of your average B-movie.